Data visualization has long been an important part of content distribution and interaction. As the Web evolves, its visual storytelling abilities continue to trend toward social, and so do the technologies that run alongside it. In our latest technological data visualization project, we integrated the two in what we’re calling a Socially Generative Visualization, or SGV. 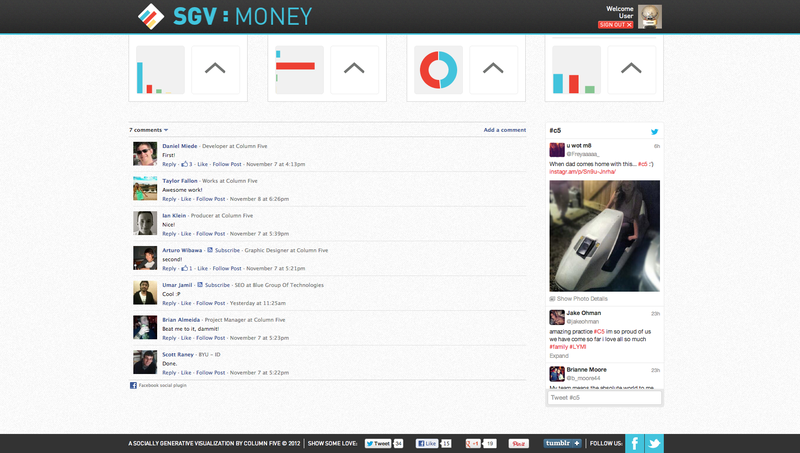 An SGV is essentially a living, evolving graphic. Imagine a malleable infographic that you log into with your social credentials, contribute your own data to help populate alongside the data being gathered from other live respondents, and receive a visual experience that is essentially never the same twice. 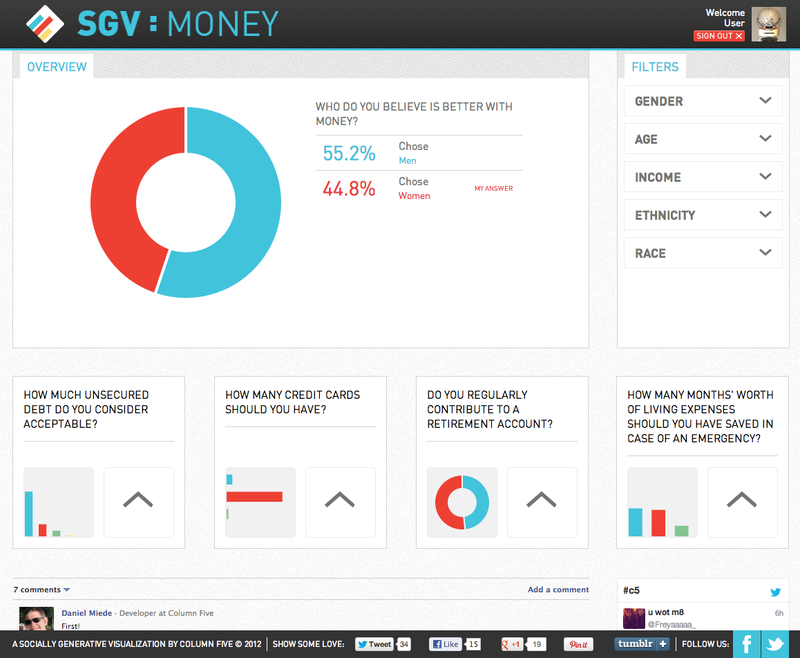 This new social data visualization approach, which can be seen in our first Money SGV shows the tip of the iceberg in regards to allowing the viewer to contribute and be a part of the measured data on display. C5’s cofounders coined the term “SGV” in our book, Infographics: The Power of Visual Storytelling, noting the technology as a potentially significant opportunity in the development and future of data visualization. 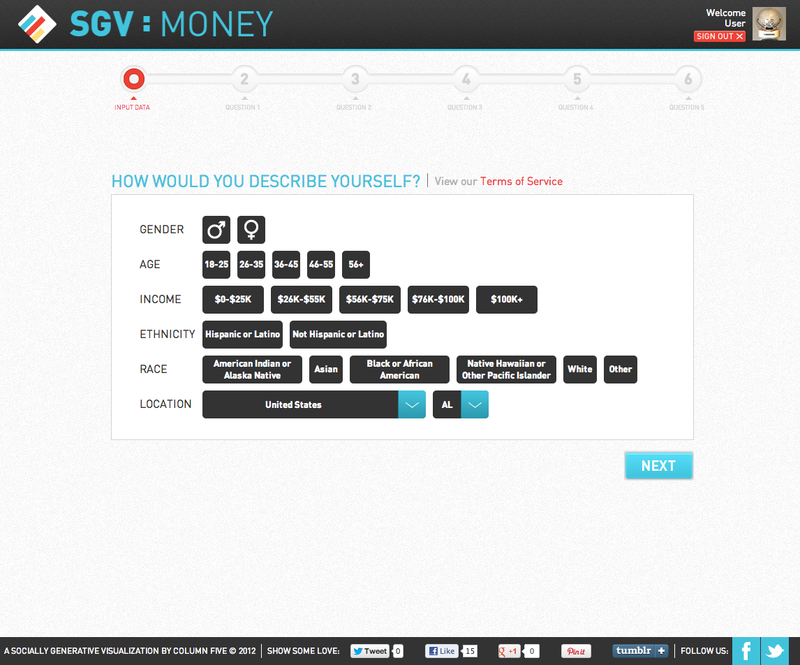 Click here for the full Socially Generative Visualization experience.